Last February, as Nordstrom’s downtown Seattle flagship was in the thick of a significant renovation, which had begun in spring 2014, there was a moment when you could stand in the center of the store with one foot in the old design and one in the new. To the right: 12-by-12-inch beige marble tile floors, little natural light and office-like ceiling tiles. To the left: a seamless, light-colored terrazzo floor, ample natural light from newly exposed windows that had been shuttered for decades and smooth, white plasterboard ceilings. “People would swear the ceilings were higher in the new design,” says Dawn Clark, Nordstrom’s vice president of store design, architecture and construction, “but they’re not.” Chalk that perception up to LED technology coupled with new floors that allow light to bounce, just one of the many changes revealed in the store’s facelift debuting this August. The Seattle flagship is just one of several stores in which Nordstrom is investing to cement that brand loyalty. Last September, the retailer unfurled its brand-new, 230,000-square-foot store in Vancouver, British Columbia—its first international flagship (a term used to define a store that reflects a brand’s best and most innovative experiences not available in other locations) and one of six stores planned to open in Canada through 2017. In the U.S., Nordstrom is set to open its first Manhattan flagship in 2019 and a second, 43,000-square-foot location just one block away. That experience begins even before shoppers step inside the Seattle store. Gone is the barrel-vaulted bronze canopy that surrounded the building’s exterior, replaced with a clear glass structure. And the brown granite that clad the exterior wall from cornice to sidewalk has been replaced with new terra cotta, which matches the original light terra cotta above the canopy. Inside, windows that had been covered by Nordstrom stockrooms are now exposed, bringing in mood-boosting natural light and creating a better connection to the streets. The new interior layout allows customers to easily shop across multiple departments. According to Clark, the old layout’s journey-defining aisles and fixed carpet created psychological barriers that didn’t encourage discovery. The new design is aisle-free with a seamless floor, giving Nordstrom the flexibility to shrink or grow a department as business calls for it. 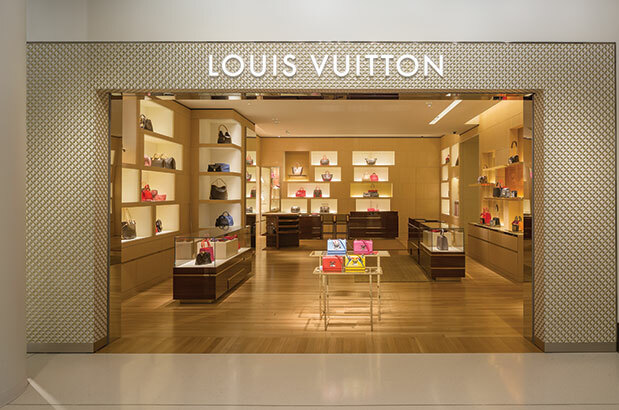 One of the most exciting elements of the refreshed flagship is the addition of a street-level Louis Vuitton boutique within the store. The iconic French fashion label trucked its men’s and women’s leather goods from its former Rainier Square location to its new home on Nordstrom’s Pine Street–facing side. 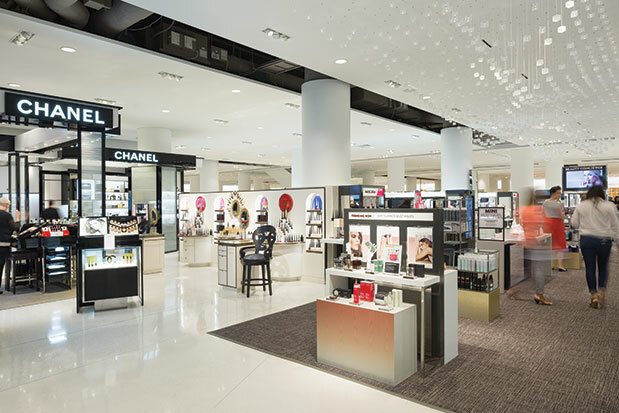 The boutique is neighbor to fellow French fave Chanel, which also has expanded its handbags-and-accessories footprint to a larger, street-facing shop within Nordstrom. Overall merchandise offerings have expanded, too. In addition to the rotating brands featured in Pop-in@Nordstrom, the pop-up shop series curated by Olivia Kim, Nordstrom’s vice president of creative projects, Kim has created a permanent in-store shop called Space, on the store’s second floor. Featuring lines such as Simone Rocha, Acne Studios, Comme des Garçons and Roksanda, Space offers fashion from emerging and established designers with an edgier aesthetic. Nordstrom has also upped its game with perks like curbside pickup and in-store food and cocktail options, such as the Habitant lounge, perched directly within the shopping environment and offering a prime spot for people watching, and California-based confection shop Sugarfina. It’s all part of what Jamie Nordstrom calls a “thick recipe” that adds up to a flagship experience. Nordstrom asserts that despite the flagship’s luxe new look, the customer service and selection it’s known for will remain the same.